One of my best friends, Nikki, is due with her first baby in early February 2014. I had grand plans to make my first ever quilt for her new baby boy, but life and other projects got in the way and I didn't have time to even get started on it before the baby shower. So, with less than 24 hours to spare before the baby shower, I decided that I needed to make something to go along with the store-bought gift that I had planned to give. I knew it needed to be simple and quick since I had a tight deadline. 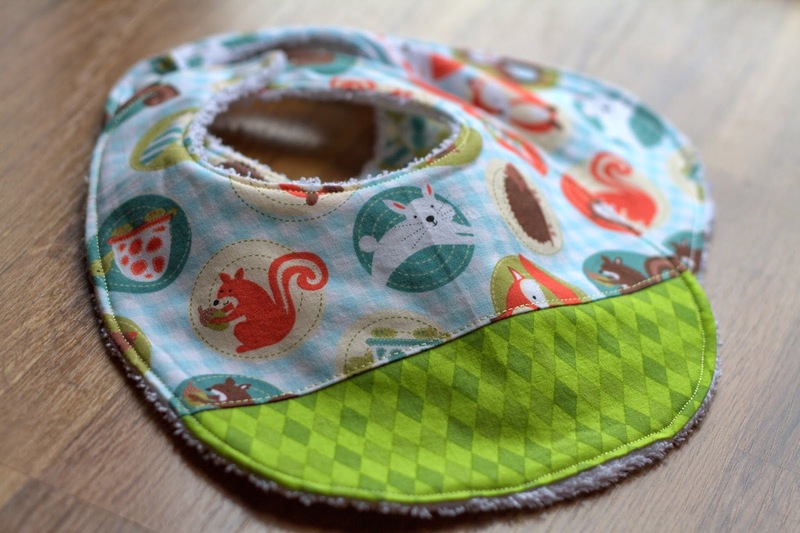 I searched online for some free baby bib patterns and found this Basic Bib Tutorial that I really like. I bought a white bath towel from Target for $3.49 for the back of the bibs and used scrap fabric for the front. I was able to make 8 bibs with 1 bath towel!! If you wanted to buy fabric for this project, 1/4yd would be enough for 3 bibs. 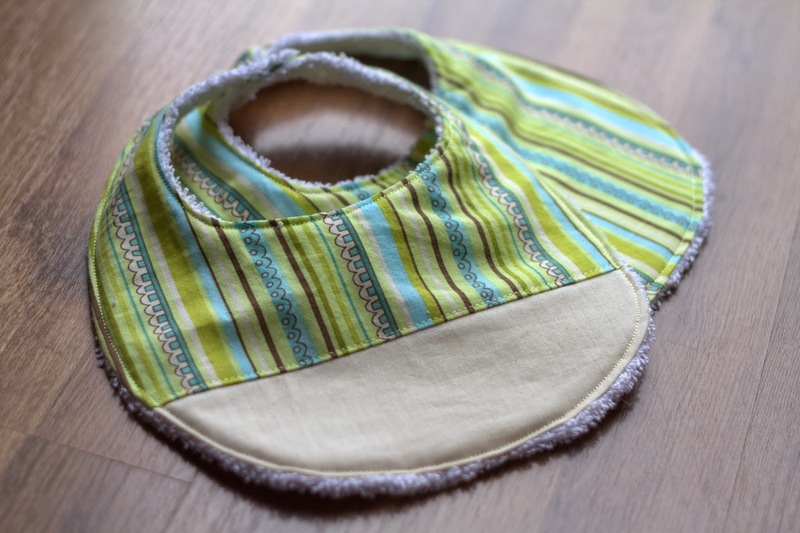 This is a really simple project and the bibs turn out really nice! My husband even said "Wow, those are nicer than anything you can buy in the store!". Well, duh, of course they are. I think it is the towel backing that makes them super thick and luxurious. I just loved this critter fabric I got at Joann's! Here is a view of the back of the bib. I just love how nice (and inexpensive) using a towel as the back is! I used snaps on these bibs. 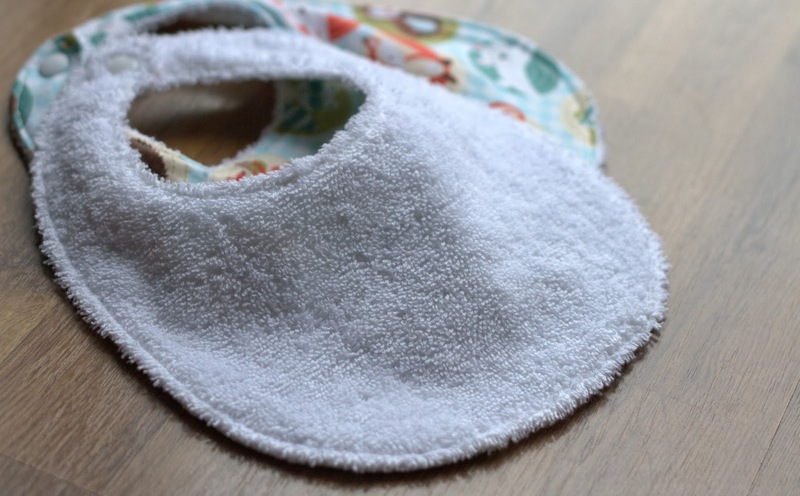 I prefer snaps over velcro for many reasons... they're easier to add... they don't get all gunked up with lint in the washing machine... and baby can't pull the bib off with snaps! 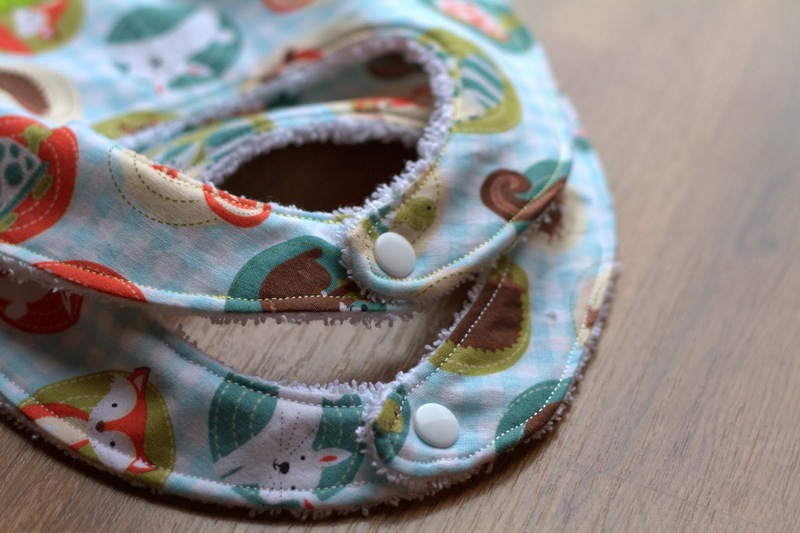 I've made a few more bibs for my niece, but I don't have any photos of them yet, so I'll share later! There are many things in life that we can say that is really cute and that is worthy to be appreciated and one of those are these baby bibs. I don't do quilting but I do love to see it's work after it is done. There are only some people who has the talent of that "quilting method" and based on what I have read through their quilting experience it is not much hard if you still have a long time to do it. 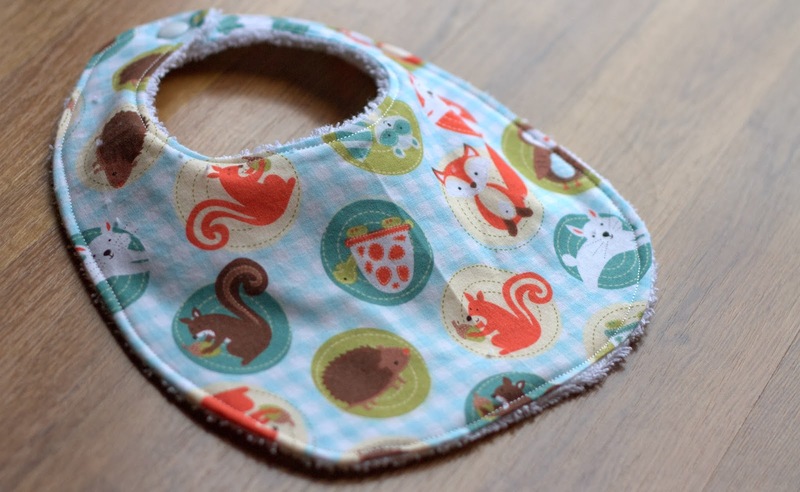 But I want you to know that I just love how nice your baby bibs are.